Our Revealing Voices project has now completed its first year and we have already achieved much of what we hoped for. All of the tapes have now been digitised, together with additional tapes from the Brampton Museum and writer Pam Sandyford. Cataloguing has taken longer than we expected but, thanks to our dedicated team of volunteers who have made steady progress for over 10 months, only a couple of dozen of the original list remain to be completed. We have had a busy year sharing our stories at numerous events. We highlighted Burslem's cultural history on Staffordshire Day in May, we commemorated the Great War in Hartshill in July with recordings of personal experiences from soldiers and others alive at the time, and in the summer we embellished our guided Heritage Canoe Trails with recordings of the closing of Shelton Steelworks and the reopening of the Caldon Canal. 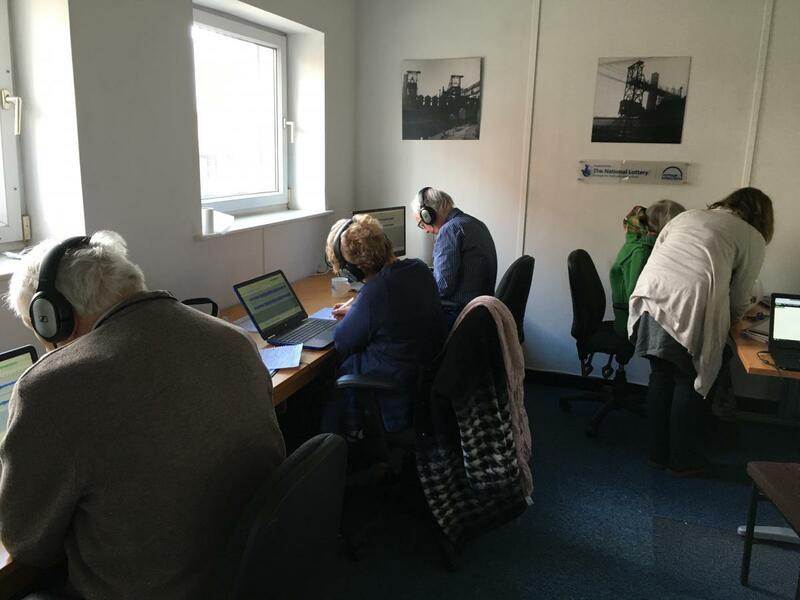 For Heritage Open Days in September, we teamed up with the Etruria Boat Group to share our Stories from Historic Narrowboats and supported Radio Stoke with their behind the scenes tour. We also took our recordings and presentations to lectures on Reginald Haggar and John Levitt at Keele University and showcased the project at a one-day academic symposium to mark the 50th Anniversary of the launch of BBC Local Radio at the University of Westminster. We were delighted to hear the extracts of veterans Mr Bill Yeates and Mr H V Scott we provided broadcast on Radio Stoke following the two minutes silence on Remembrance Day. From September, Revealing Voices has had its own dedicated website where you can find out more about the project and listen to exerpts. 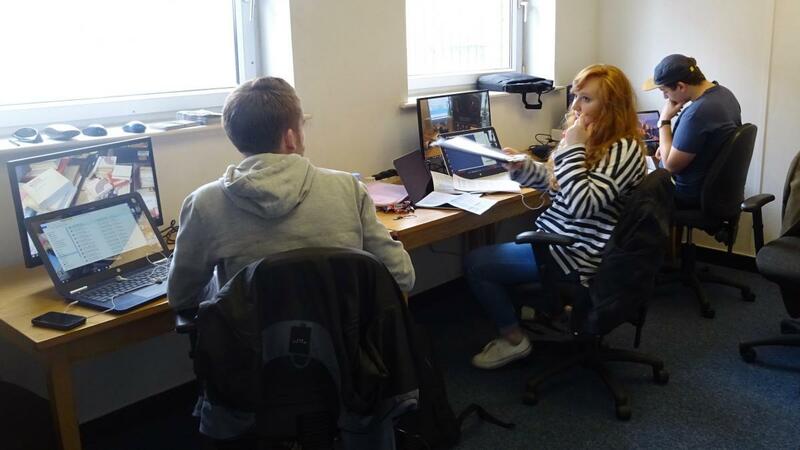 In October we offered students from Staffs University the chance to delve into our unique resource to produce media pieces for their journalism and media coursework and to provide them with valuable work experience. The students are now producing extracts and montages and we look forward to hearing them in the new year. In December we met with staff from BBC Radios Stoke to collaborate with them on a series of broadcasts and events to celebrate their 50th Anniversary in March. This, and the subsequent exhibition to be hosted by the Potteries Museum & Art Gallery, will bring our project to a close in the middle of 2018. The Revealing Voices studio opened at the end of January and was launched on 14 February with a special event and a presentation from documentary filmmaker and friend of Arthur Wood, Ray Johnson. 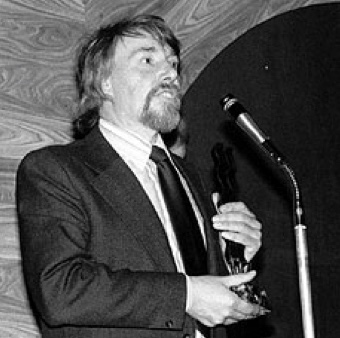 The event included selected audio files from the collection and archive films on which Ray collaborated with Arthur and others in which Arthur played with local jazz musicians. The studio is now open regularly on Monday’s and Tuesdays by our Project Officer, Isla Telford. Isla is on hand to help with the technology and volunteers find their own ways of working – some happy to view the wave forms from the files, listen and type directly into a word processer, while others sit back with headphones on, writing notes to be typed up later. Most people thoroughly enjoy the process and come back regularly. After a slow start, we should soon see the first 100 files catalogued as the work, and our experience, builds. 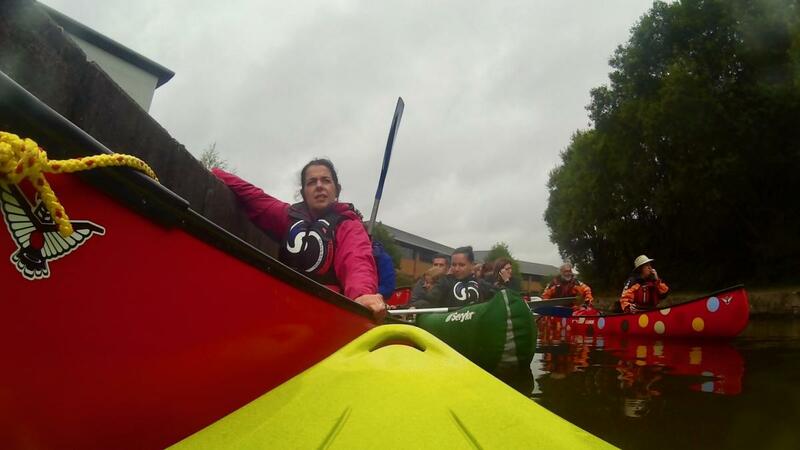 If you are interested in taking part in the project, you can get in touch with us through the contact page of this site or call Isla Telford on 07743 548313. With such a wide range of subject matter to listen to, you will be glad you did! 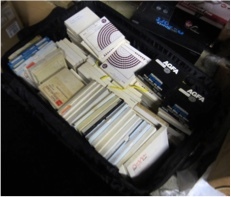 The two-year project will conclude in 2018 to coincide with Radio Stoke’s 50th anniversary and will digitise over 400 tapes, create a catalogue and searchable database of their contents and make them available through the city archives. The journey of discovery will include working with local students and volunteers, a series of events with communities and schools and an exhibition to be hosted by the Potteries Museum. There will also be equipment for listening, editing and audio-visual presentations. The recordings were originally made for broadcast on BBC Radio Stoke, where Arthur Wood was education producer. They need to be digitised now because the original metallic tapes are likely to deteriorate beyond rescue within the next few years so their content is in danger of being lost forever. 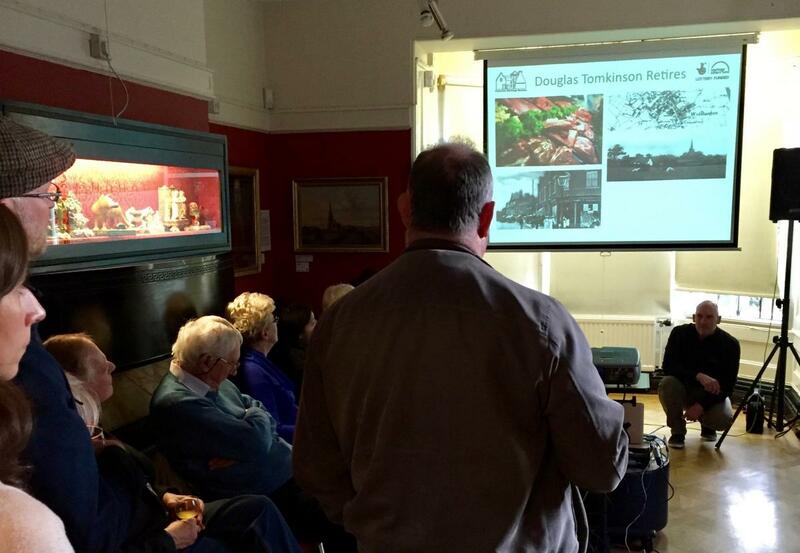 The collection includes local history, oral history, schools broadcasts, programmes on industrial heritage, canals, railways, dialect, and many other topics of local interest. The project has attracted an enormous amount of interest from local organisations that appreciate what an important resource the digitised audio files will be to their own projects and we already anticipate taking Revealing Voices to several events over the next year. We would welcome your ideas and suggestions for events and are seeking volunteers to help catalogue the files and to be among the first to hear the recordings for more than three decades. If you would like to know more about the project or are able to offer your help as a volunteer, please get in touch using the contact form and choosing the Revealing Voices category.